"Why not run this race in Lederhosen to enjoy the post-race beer and food"
This year some big city Marathons will cost you more than $150 to enter. You probably have to fork over another $200 to get a hotel room that is within 10 miles of the start at best. By setting your alarm clock to 2:00 AM you get a shot at a parking spot somewhat close to the start and you get to “warm up” for another 3 hours until you finally get out of line for the Porta John’s. The ½ Sauer ½ Kraut offers a somewhat different experience. You can park at the Cannstatter Volksfest Verein German Club and hop onto a free bus shuttle. 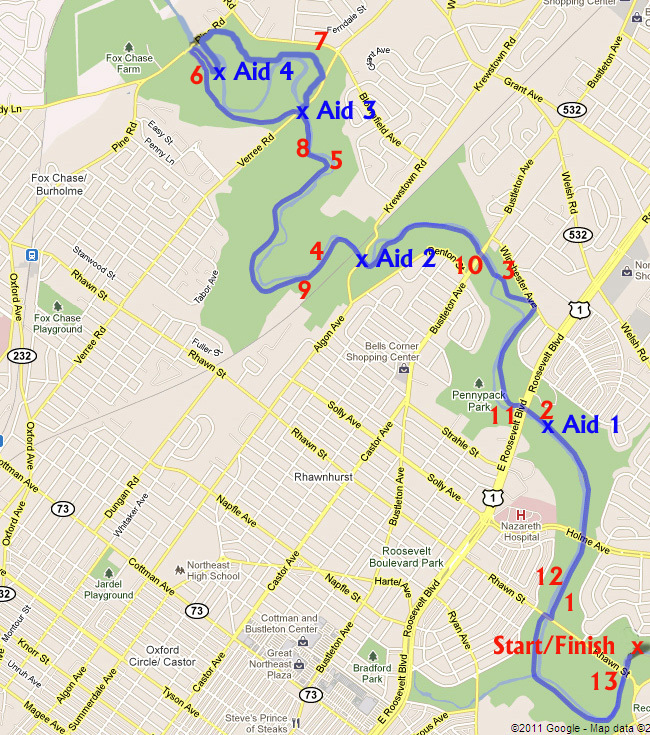 You will be running on a mostly shaded & (mostly :-)) flat bike trail alongside the Pennypack Creek. 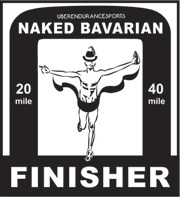 You will be supported by 15 aid stations ( 7 for the half), including Oktoberfest Aid station. Heidi, the Bavarian waitress will hand out gels, and we will invite you (yes, first beer is on us) to beer and brats at the post race festivities, while “Hans” will entertain you with his accordion. Find out who else is crazy enough to run a race like this in the summer and rehydrate properly at the German club afterwards. You will dramatically increase your chances of winning something by dressing in Lederhosen or Dirndl (traditional bavarian dress). A portion of your entry fee will be used to support the park as well as the HCM Foundation, a local charity supporting families affected by cancer. To make this even more unique, we added MOUNT CUCKOOat mile 6. Mount cuckoo is a 1 mile trail section that might feature minor roadblocks like rocks, dirt, possibly horse poop and some short rolling hills. This section is relatively easy by trailrunner standarts, but the surface is definetely different from what you usually discover during a (half)marathon. This might just slow you down enough to miss your PR even if the weather cooperates. Run it if you must or walk it for your safety. On the positive side, once you conquered Mount cuckoo, you will be running downstream towards the finish line and you get to see Heidi at the Oktoberfest aidstation for a 2nd time. 6/7/2019 4:00 PM-8:00 PM at the Cannstatter Volkfestverein, 9130 Academy Road, Philadelphia, PA and on raceday from 5:30-6:45 (we recommend picking up your number the day before). Online registration closes June 5th midnight, but you can still sign up in person Fri 4PM - 8PM and Sat 5:45AM - 6:45AM at the German Club at 9130 Academy Rd. Every half and full marathon finisher will receive a finisher medal. This year we will use a disposable chip timing system. Milemarkers will be placed along the course. Beautiful views of Pennypack Creek throughout the race. Click on link to view hotels nearby the race. There is a casino and an amusement park nearby, so these hotels fill up quickly, therefore we recommend making reservation early.